Binh Duong is one of province in Mekong Delta and there have so many orchards. The orchards of Lai Thieu are located on Saigon river side. It is far from Thu Dau Mot of Binh Duong province about 10 kilometers to the South and far from Saigon about 20 kilometers to the North. 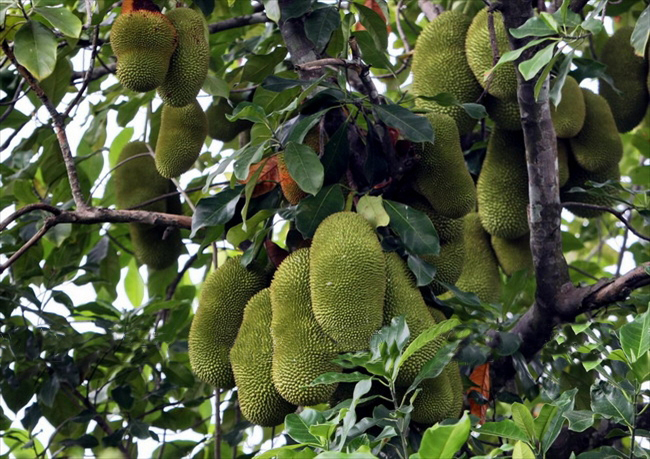 Lai Thieu orchard is the heaven of durian, cempedak, sapodilla fruits, mangosteen, jackfruit, and rambutan fruits. You can taste these fruits all year around. Fruits are always available for you to taste. Travelling to Lai Thieu orchard, you will see the stretch gardens of red rambutans, purple mangosteens and you will smell the fragrant of cempedak. Lai Thieu is one of the biggest orchards of Mekong Delta. Tourists can go into orchard to buy fruits. You can eat fruits in the orchard or you can bring home. Tasting fruit in the orchard is a great experience. You can walk in the orchard while you enjoy fresh air and enjoy fresh fruits. 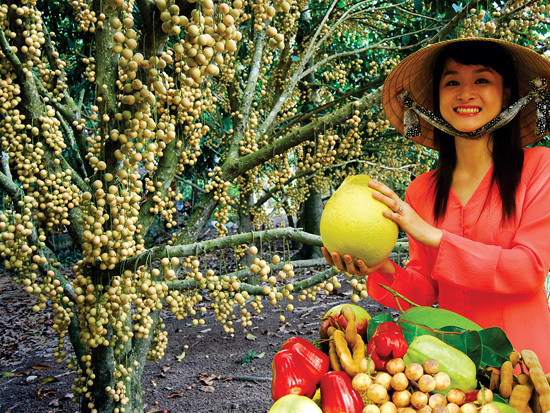 I will show you some gardens where you can visit to taste fresh fruits in Binh Duong. – Ba Tam garden: It is in No.83 Hung Tho Street, Hung Dinh commune, Thuan An town in Binh Duong province. You can contact with the phone number: (+84) 6503 747 612 before visiting this orchard and have plan in advance for your trip. – 99 Orchard: It is in No.99 Hung Tho Street, Hung Dinh Commune, Thuan An town, in Binh Duong. This is the phone number if this orchard’s owner: (+84) 6503 720 118. There have services of visiting, foods and beverage and hostels. You should try tasting grilled chicken with durian, grilled snakehead and salad mangosteens cuisine there. Orchards in Cai Be are wrapped by many canals. Tien river is the main source which provide fertile alluvial for plants in Cai Be. Cai Be is a good place for cultivation fruits. Fruits in Cai Be are exported to many other countries in the world and provided into domestic markets. Cai Be is not only the biggest orchard of Mekong Delta but also an attractive destination where you shouldn’t pass during your trip to Mekong Delta. One of the destinations that you can’t miss when travelling to Chợ Lách (Lach market) is Cai Mon orchard in Vinh Thanh commune. When travelling to this orchard, you will certainly be attracted by red ripe rambutan gardens, gardens of green berries, mangosteens gardens or many other orchards that are filled with mangoes, bananas, guavas, jackfruit, apples, sapodilla, Lekima, apples, papayas… You can buy ticket and go into the orchards. Moreover, you can manually harvesting and enjoy fresh fruits in the garden. Mekong Delta is the great orchard of Vietnam. If you like, the gardens’ owners will share with you to know how to care a plant in order to get the highest productivity and quality to provide to domestic fruit market. 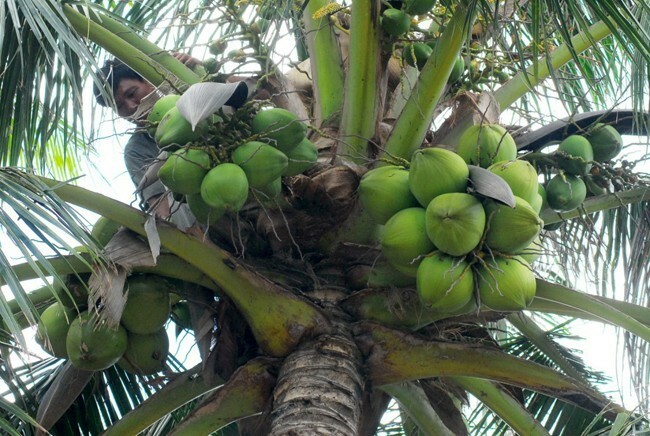 Ben Tre is famous for coconut fruits. Ben Tre is also a giant orchard in Mekong Delta. 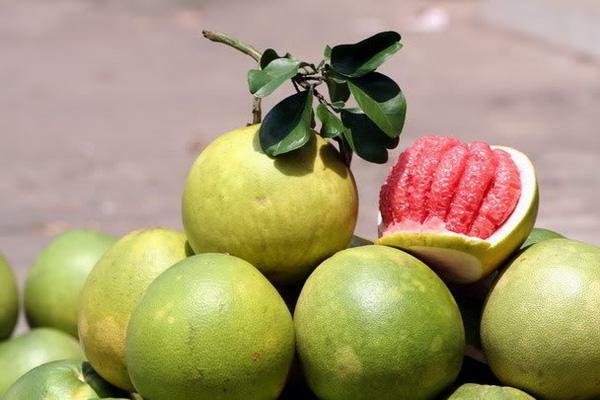 Besides coconuts, there have durians, rambutans, grapefruits, mangoes, plums, longan… Especially, green skin grapefruit Hai Hoa in Ben Tre is more delicious than this fruits in other places in Mekong Delta. From Ben Tre city center, you can move along Ham Luong bridge and then move along National road No.60 (in Mo Cay district), continue moving in National road No.57 about 43 kilometers, you will get Chợ Lách (Lach market- it is regarded as a King of fresh fruits). It is located in the Northwest of Ben Tre province. Lach Market is a famous destination of Mekong Delta. Vietnamese and foreign tourists travel to Mekong Delta always visit this market to enjoy unique and fresh fruits there. You should visit this destination with your friends and taste Ben Tre’s fruits, drink fresh coconut juice and enjoy fresh air there. Mekong Delta is the heaven of fresh fruits. From Saigon city center, it just takes you more than 2 hours to get Vinh Long orchard. Vinh Long orchard is located in Vinh Long center. Soil in Vinh Long orchard is so fertile because soil in Vinh Long has been filled up with silt by Tien River and Hau River every year. Vinh Long is one of the most attractive places to visit if you have intention to travel around Saigon area. Vinh Long is famous for grapefruits (Năm Roi grapefruit branch). 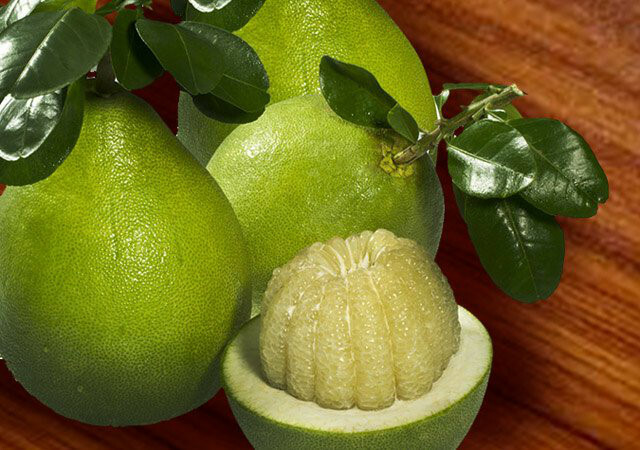 Grapefruits in Vinh Long have few seeds. Vinh Long’s grapefruits are crunchy and sweet so tourists and customers like grapefruits in Vinh Long so much. Vinh Long is also known thanks to its rambudan fruits. Rambudans in Vinh Long are more beautiful, more delicious and fragrant than rambudans in other provinces in Mekong Delta. Following rambutan season in Vinh Long, there have longan fruits, oranges Tam Binh, durians Ri 6, mangoes Hoa Loc, mangoes Cat Chu…All these fruits make the branch of Vinh Long’s fruit. When you travel to Mekong Delta, you will certainly immerse yourself into large green fresh places; enjoy fresh fruits in big orchards with many kind of fresh fruits. Buying some fresh fruits to give friends and relatives, they will like your fruit-gifts so much.